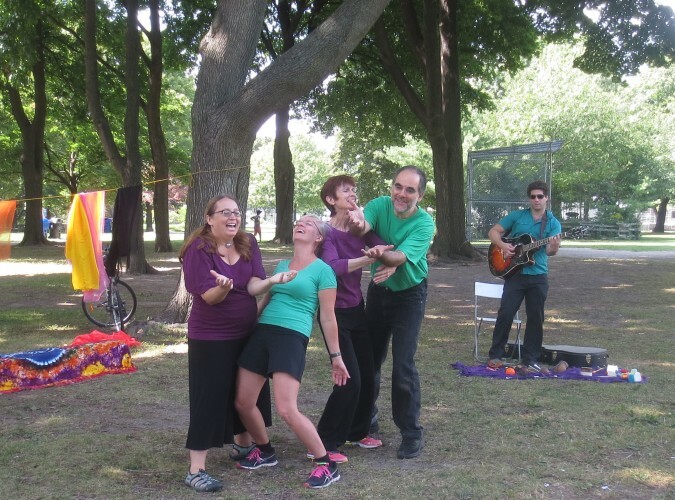 Playback Theatre is an interactive, engaging, fun and therapeutic form of improvisational theatre. Audience members are invited to share stories and enjoy the gift of our actors playing these stories back; re-enacting audience members’ stories on the spot accompanied by live music! Playback Theatre serves to motivate self-expression, build community and compassion, as audiences recognize and learn from the diversity and universality of their experiences. We invite you to choose the theme for the show or we can choose with you. & we would love to perform for you! See pictures from our Dufferin Grove Parents show here.